“Late nights and tequila shots are not conducive to family life. I did what any sensible 40 year old should. I signed up for the 2018 Crisp Copy Class and started a business by accident. Actually, that’s not quite true. I already have one business, the second one just happened whilst on self appointed long service leave from the first one. 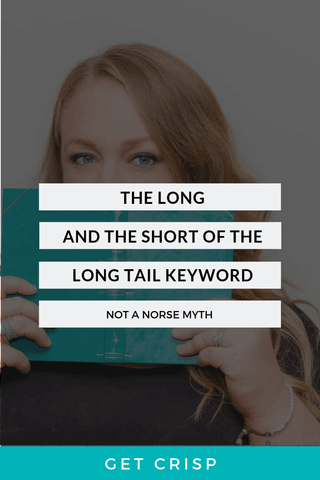 I am a Massage Therapist (and Writer – I must start saying this more). I’ve been practicing my holistic craft for twenty years. With a few short stints back in hospitality and becoming a mother 3 times. There’s a fine line between doing something that you love and then falling out of love by the doing that same thing. That’s how I was starting to feel mid 2018. Yes I loved my holistic therapies – the oils, the crystals, the bodywork, the helping, the regular clients. But I was feeling the magic fading. Massage Therapy was beginning to feel like a twenty year marriage, the love was complacent. Without realising it, I had been running on empty for nearly two years. 2016 had been a stressful time personally. We suffered a great loss via a random house fire and relocated from Margaret River back to Perth. All of my energies and efforts went into supporting my kids and husband through their experience of trauma and change. Along with setting up my massage practice in Perth, there was no down time for me. By August 2018 I was over it, big time. I considered chucking in my business and getting a job. Because at that point, employment looked appealing. I didn’t want to work as a massage therapist for anyone else and I sure wasn’t going back to hospitality – late nights and tequila shots aren’t conducive to family life. One mopey Monday morning I was browsing Seek for jobs and scrolling Facebook at the same time, looking for something. Hope? The Crisp Copy Class jumped out on my feed. I clicked to find out more. Good copy does that. I’ve been following Jay’s work for sometime. We are in some of the same Facebook business networks. I’m glad I clicked that call to action button. The course outline sent tingles down my arms. This was the something I needed! Hope! I could over hall my website and get some spark back. Plus the value was incredible! A few things happened after the first couple of Zoom classes. I remembered how much I had wanted to become a paid writer in my teens. How I had forgotten this is beyond me, because, in hindsight, I have always been a writer. I’ve been writing my own copy for my massage business for 8 years. Countless edits and updates to my website, monthly blogs, hundreds of e newsletters, print marketing material and social media posts. These are the parts of running my massage practice that bring me great joy. Research, writing, creating, connecting with my audience. Just like that, my spark had started to come back, but not for the physical aspect of my business. I was still exhausted. Rather, a new found confidence in my ability to write and express myself creatively. As the Crisp Copy Class continued, I rediscovered my writing voice. It became easy to contribute and share my copy and blogs in the closed Facebook group. 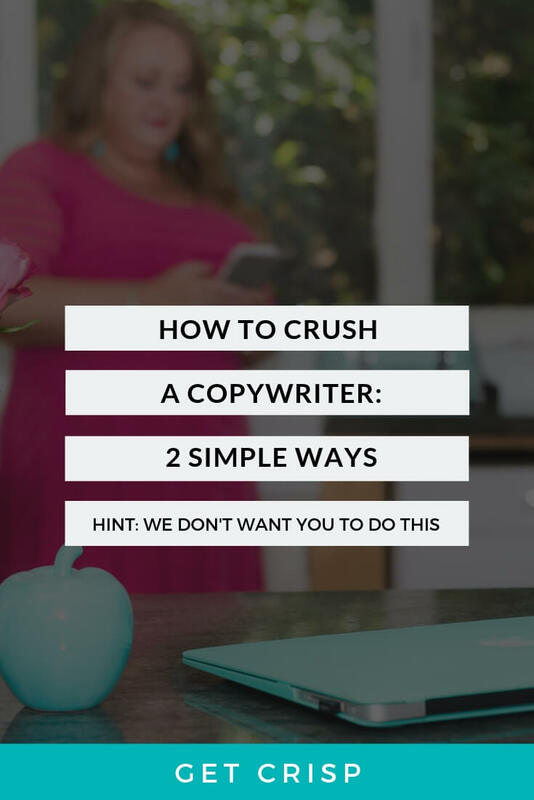 I knew I was sharing amongst some ‘real’ copywriters and bloggers. Women who did that stuff for a living. It was a little intimidating at first, I had to squash my inner critic when she piped up, as I was about to post. Thoughts of “not being good enough” and “who did I think I was to write copy, without a degree”, quickly dispersed. By being brave and sharing my copy in the group, I received feedback and free edits, both helping to boost my creative confidence. A side hobby. I’ll start contributing blogs to my industry association and maybe contribute to a few others. That’s what I thought, as I planned and posted my announcement to take a three month extended break from my massage practice. Now, that blog and post was some good copy. It lead to an increased social media following and a waitlist ensuring I had more than enough business upon my return to practice in March. The same day I sent that Mailchimp out to my database, I scrolled across an ad for a local wellness travel company. They required an admin assistant of sorts, someone to help with the relaunch of their new branding. I quickly whipped up a professional bio (because cv’s are so last century) and landed a contract as Creative Communicator by the end of the day. I have been able to put into practice every element of the Crisp Copy Class. My role encompasses it all and more! Writing web copy for the launch of the website has been amazingly easy, now that I know how. Plus the travel brochures, about me bio’s for each of the guides and an advertorial for Wellbeing Magazine’s Travel Annual have all just flowed effortlessly. So much for a side hobby! I now get paid to write. And it doesn’t even feel like work. This may well be the honeymoon phase, but this business is here for the long haul. Since starting the contract with the Travel Company, I have taken on two more clients, a branding photographer and a Naturopath. Both tell me I have a knack for getting into their minds, extracting and unjumbling their thoughts into words that work. This feedback makes my heart sing. Last week at the Crisp Copy Class Graduate wrap up, I felt proud to share my new business, which is not a hobby or a side hustle. Rather, it is an extension of the work I love. It is early days, and I am still sorting out the nuts and bolts. The organic nature of how this business has unfolded and fits in beautifully with my massage practice makes me smile everyday. Like all marriages, it was the communication that was missing which led to the complacency. I am a Writer and a Massage Therapist. I help wellness businesses communicate with clarity for ideal client connection. 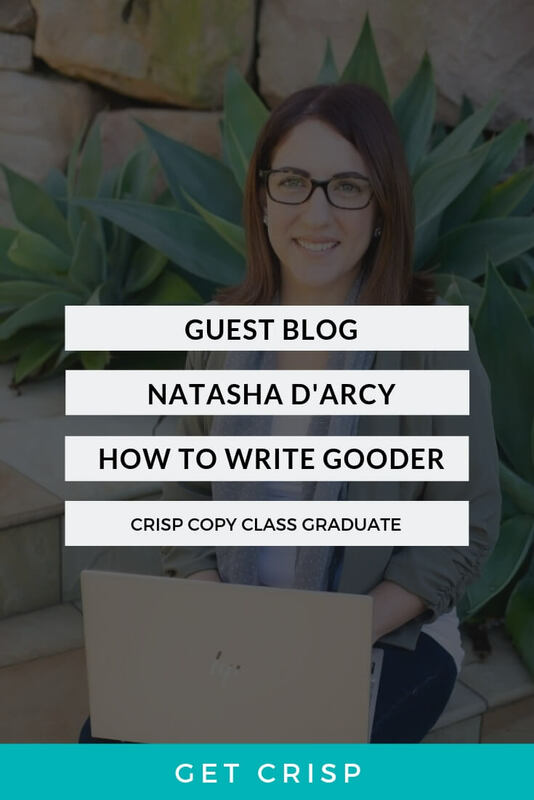 Find out about how to get on the Crisp Copy Class waitlist here. 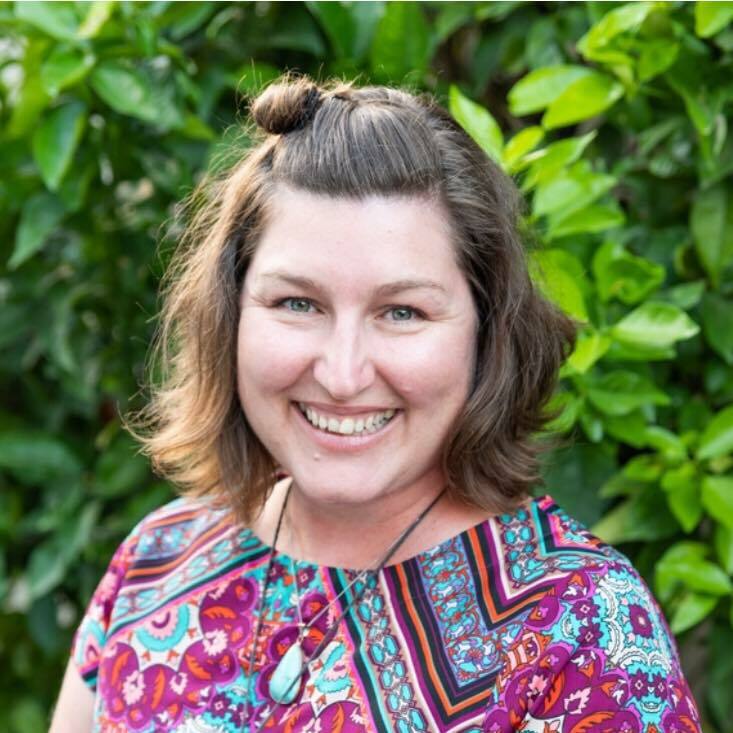 Nicola Hogan is a Wellbeing Professional with a knack for crafting client relationships. 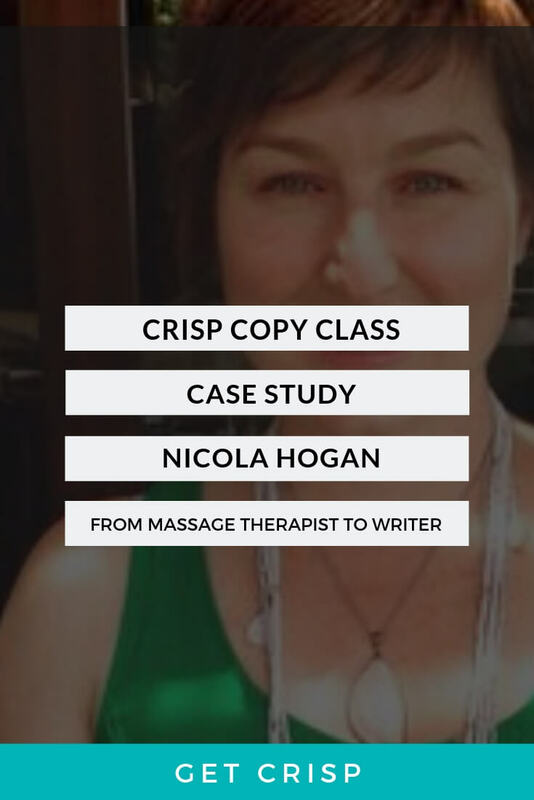 A Holistic Therapist, Creative Communicator, Massage Therapy Mentor and Mum to 3 school aged kids, Nicola has spent years creating a biz/life balance that (mostly) works. Nature lover, urban gardener and coffee addict, she’s a stickler for good customer service and is not afraid to speak out when it’s in lack. Connect with her on all the usual online social places and at her Clary Sage Consulting website here.